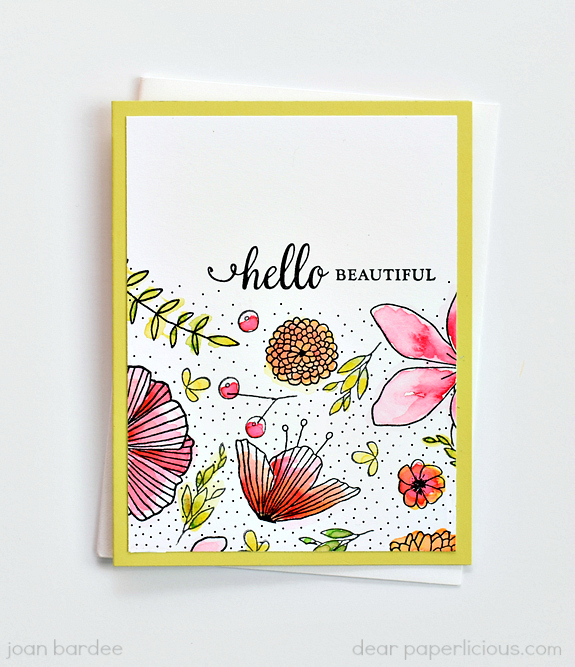 Yesterday I posted a few cards made with Concord & 9th's Wildflower set. After I saw them online, I decided that they didn't have the look for which I was going. 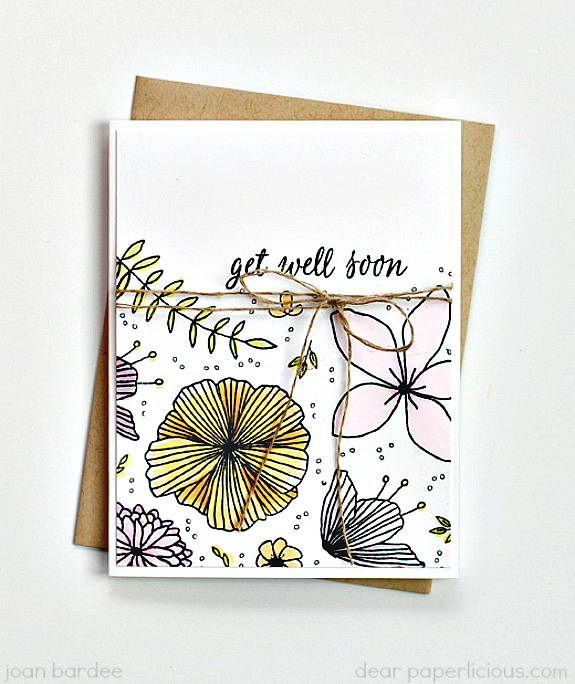 So, I made these -- one soft, and one bright, and used sentiments from Hero Arts. The top one was colored with Copics. The next one was watercolored. MOOD WHEN DONE = Now I'm happy. LOVE these..both versions:) Nice white space at the top! ooohhh...these are so pretty! I especially love the watercoloring and base on the 2nd one. I love these, but I also really liked your other cards. Two different looks & both very nice. Happy Weekend! Sigh. . . I like color too. :-) I especially like the wash look on number 2! I liked the other set...I LOVE this set, Joan! The bright watercolored one is da bomb! I can see why you're happy, these are both so PRETTY! Gorgeous! Both colour schemes are delightful.